The Port City project -stalled, suspended and recommenced-has been under public scrutiny for various reasons. Five years in the making, the project has withstood regime change, public protests and spurious criticism levelled by political parties and personalities who have changed their tunes according to election whims. Nevertheless a group of activists who voiced their concerns over the detrimental consequences of the project have remained relentless. They still believe that the Port City project will be the greatest self-inflicted ecological hazard to Sri Lanka. The approached several environmental activists to query their stance on the project. Among them was Rev. Fr. Sarath Iddamalgoda, a Christian priest who has been a strong and vocal opponent of the project, representing the disheartened and helpless fishing community of the island, whose livelihoods will be undermined by the mega project. position has not changed; we want the project to be stopped completely. Especially after the court case was filed on the advice of the Chief Justice, fishermen of this area visited the subject Minister Patali Champika Ranawaka whom they requested to come and observe the situation for himself. “The officials there would not know the situation here unless they observe it,” Fr. Iddamalgoda said. Commenting on the Minister’s assurances that the project was carried out on a strong scientific basis minimising environmental and livelihood damage, Fr. Iddamalgoda said in certain cases experience and common knowledge trump science. “Scientific evidence is not always accurate; people’s traditional knowledge that has been gathered over years has to be taken into account. For instance, farmers were introduced to various new scientific developments. But this technology has only destroyed the lives of people. The same principles can be applied to fishing; technological developments won’t always help. Therefore, it is very important that the minister and experts who advise him come and see what’s happening on the ground level. 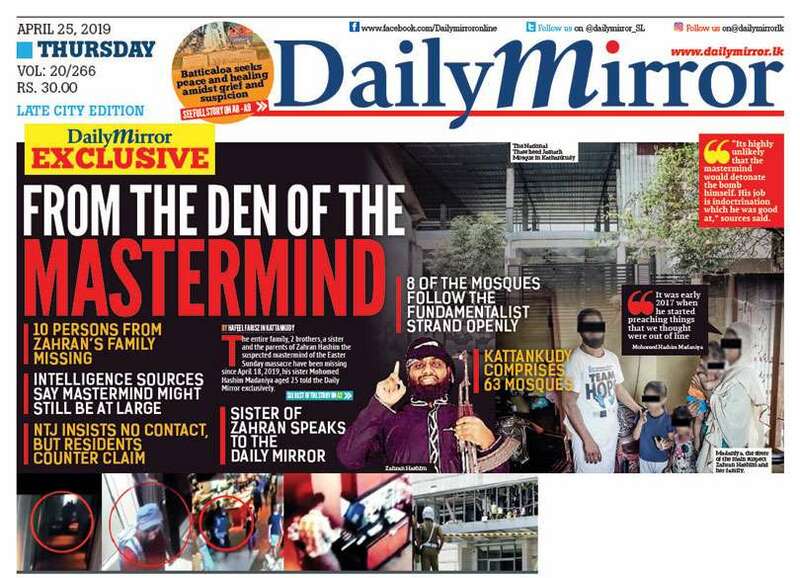 When the Minister was involved in the Janantha Mithuro movement during his young days, he had a better understanding and respect for the people” Fr. 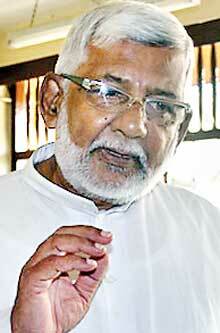 Iddamalgoda opined. inspected the project site last month. The EMC team comprises representatives from 20 government agencies, including the CCD, Central Environment Authority (CEA), Road Development Authority (RDA), Sri Lanka Land Reclamation Development Corporation (SLLRDC) with National Aquatic Resources Research and Development Agency (NARA). The group had expressed its satisfaction at the project’s compliance. They concluded that the reclamation and construction work is carried out according to the conditions outlined in the development permit issued by the CCD. On the contrary many environment protection organisations believe the project is illegal. 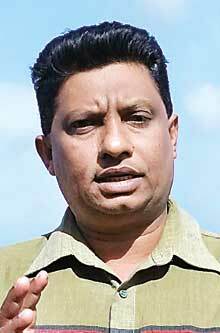 Spokesman for the Environment Conservation Trust Sajeewa Chamikara opines the project was an illegal implementation by the previous government and expressed disappointment over the present government’s continuation of the project. “This project is carried out despite two cases filed in Court and amidst public protests. The government was elected on promises of good governance; the continuation of the project is a violation of the law and thereby is a violation of good governance. Not only does this project pose harm in economic terms but it also threatens the livelihood of the fishing community, the marine ecosystem as well as the coastal belt,” Chamikara explained. The initial plans for the Port City project were said to be carried out in an area of 233 hectares. According to Chamikara this was then increased to 269 hectares and finally to 271 hectares. “The land that will be reclaimed for the project has been increasing. What is even more disappointing is that the Environment Impact Assessment (EIA) report was not carried out properly amd this report is extremely weak,” Chamikara accused. "Fishermen around the island have expressed fear and concern even before the implementation of the project. 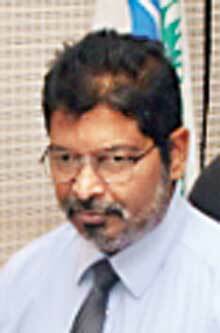 Aruna Roshantha of the All Ceylon Fisheries Union resides in Morawala, Negombo. He says sand mining activities on account of various development projects over the years had caused serious damage to the coast. " Environmentalists say, the Port City project is carried out in contravention to the Coast Conservation and Coastal Resource Management Act. “The recent report was tabled as a Supplementary Assessment Report (SEIA). The law does not provide for any supplementary reports. This is clearly illegal!” Chamikara added. Environmental Scientists believe that the Indian Ocean is home to 32,000 marine species out of which a considerable portion is found in the seas surrounding our island. Meanwhile the total area of the island which measured 65,610 square km several years ago, has reportedly shrunk to 65,525 square km. 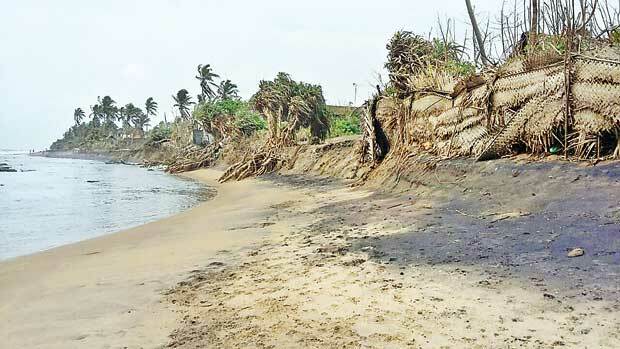 Environmentalist Ravindra Kariyawasam of the Centre for Environment and Nature Studies is convinced that with the continuation of the Port City project natural erosion will be unnecessarily augmented. According to Kariyawasam this does not simply mean that Sri Lanka loses its land area to the sea. “This type of aggravated erosion causes much more harm than meets the eye. The already depleting resources of Muthurajawela, the lagoons of Negombo, Mahawewa, Chilaw, Anawilundawa and several other lagoons in the western coast will subsequently be obliterated. This would result in the disturbance and eventual destruction of the lagoon eco-system. You can imagine what this would mean for our lagoon fisherfolk,” Kariyawasam said. sand mining activities on account of various development projects over the years had caused serious damage to the coast. “This natural reef in Morawala protected us from the Tsunami. Ever since sand was extracted for the construction of highways and the port, the reef has been damaged. Do we need more evidence that sand mining will cost us our environment?” questions Roshantha. 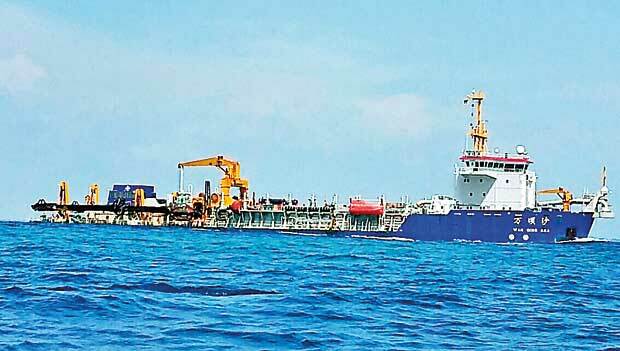 Dredging activities for the Port City were re-commenced by the China Harbour Engineering Company (CHEC) in September within a 56 square km block that starts from 4.1 km from the western shoreline of the Negombo area. In a statement obtained by the CHEC states the new SEIA did not grant approval for dredging at an identified site 2.1 km from the shoreline. 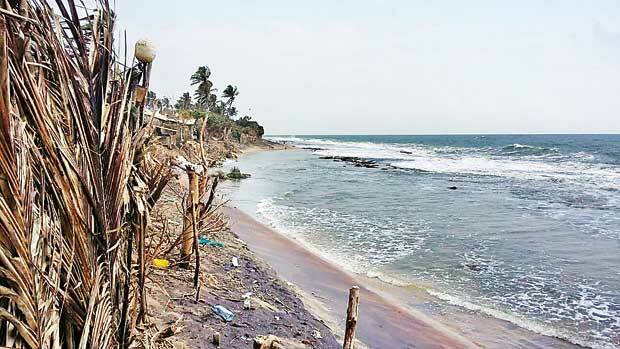 In Bassiyawaththa, Negombo, fishermen like Roshantha say they have already witnessed a massive vessel extracting sand off the area, dredging sand close to the shore at a distance of 2 km, despite the permit not being granted. Buoys were installed by the contractor to guide fishing vessels and keep them away from the dredging zone. Fishermen of the area protested against this in October as they believed the move endangered their livelihood. "This project is carried out despite two cases filed in Court and amidst public protests. The government was elected on promises of good governance; the continuation of the project is a violation of the law and thereby is a violation of good governance. ..."
Following the protests, Minister Ranawaka met with representatives of the fishing community. At this meeting, authorities claimed that fishermen have damaged buoys installed by the contractor, costing them a great deal, while ironically, the meeting was concluded with the government representatives saying that the fishermen never opposed the project. Minister Ranawaka who also attended the meeting had not only challenged fishermen to provide scientific evidence that the project will cause environmental damage but also had assured fishermen that they will receive compensation for the temporary losses incurred due to the project. In the meantime, CHEC says the dredger movements can be tracked live via a website provided to the fishermen and catholic clergy which establishes the exact location of the dredger. The statement said the dredger is shown to move at 1/10th the normal speed and assured that dredging would be carried out in approved areas. Yet when contacted by the , fishermen alleged that the vessel draws towards the shore during after hours, close to a distance of 2 km. CHEC said at present, based on representations made by fishermen regarding the existence of a fish breeding rock outcrop at a distance of 10km from the shoreline only on the approved dredging site, the Secretary to the Ministry of Megapolis requested that the dredgers be temporarily shifted to 10km and beyond, pending NARA carrying out a more extensive study on the existence of such rock outcrops. 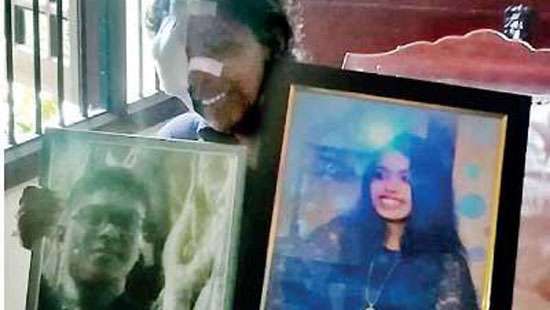 According to Roshantha however there is a deadlier risk posed by sand mining. Although at the meeting with fishermen the government representatives had agreed that the dredging will maintain a 10 to 15 km distance from the shoreline, Roshantha says the dredger closes in about 2km from the shore each evening. In Bassiyawaththa, located on the land that separates the Negombo lagoon from the sea, this kind of sand mining in water that is already 20 to 30m deep will take away the reinforcing layers of sand. 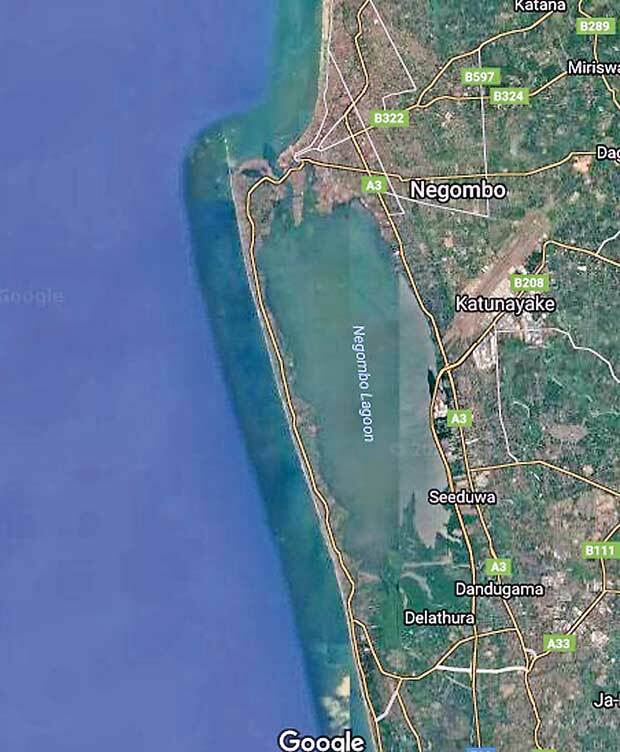 Divers and environmentalists say the reef in Morawala, which holds the weight of the Negombo lagoon, has cracked in several places following the continuous sand mining over the years. If this continues the reef will eventually give away, as it will no longer be capable of withstanding the pressure of the lagoon’s water mass, the stretch of land in between or the surrounding marshy land with hard and heavy soil. Unfortunately, these factors have not been assessed in the EIA report and therefore the risk of an impending landslide has not been acknowledged. "We are not allowed to even take a basin of sand, it’s illegal, because they say that it endangers our environment." “We have laid out some 70 odd conditions prior to granting the permit. 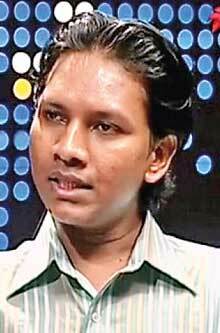 These conditions have to be met in order to minimize the environmental impact,” Muthukudarachchi said. Questioned about various concerns raised by environmentalists, he said: “Environmentalists can raise various issues, they think that we are doing nothing in this regard. But we have laid out our conditions for the project.” He added that in the event the conditions are violated, CEA will resort to legal action. The conditions which shed light on a number of environmental concerns were tabled in March this year. However as Muthukudarachchi confirmed, the conditions will enable developers of the Port City project to minimize and control the adverse effects caused to the environment, though they won’t prevent any possible bio-hazards. Developers of the project will be subject to these terms which validate the permit. Nevertheless effective monitoring of these conditions by the relevant authorities and activities that appear to be contrary to the conditions raise many doubts, as was apparent during the protests carried out in Negombo against sand mining. The understanding reached between the minister and fishermen of the area too has been disregarded. While documents, permits and other approvals are in place and appear above board, we question if the relevant ministries and departments are in agreement and the monitoring process is being properly carried out. "When contacted, the Director General of the CEA K.H. 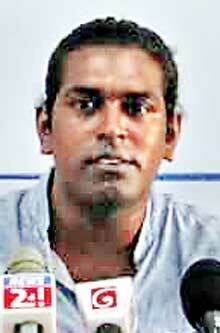 Muthukudarachchi commenting on the matter said the athourity’s stance on the Port City project was a positive one. Although the CEA which is the legal entity charged with all matters connected with the environment on land or offshore distanced itself saying that the EIA was conducted by the NARA. "